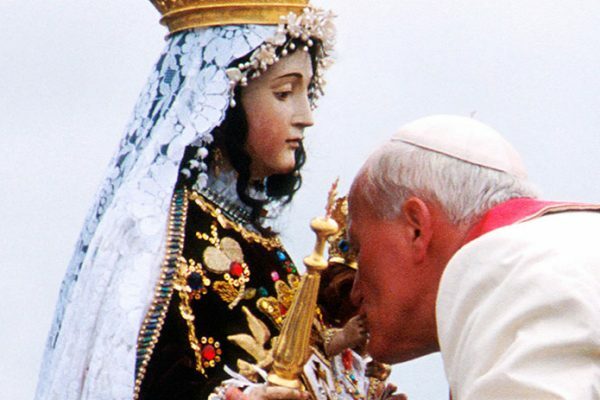 With these words, beginning his episcopal motto, the late Holy Father, Saint John Paul II, inspired and continues to inspire men and women from all over the world to entrust their lives completely to Jesus Christ through the Virgin Mary. 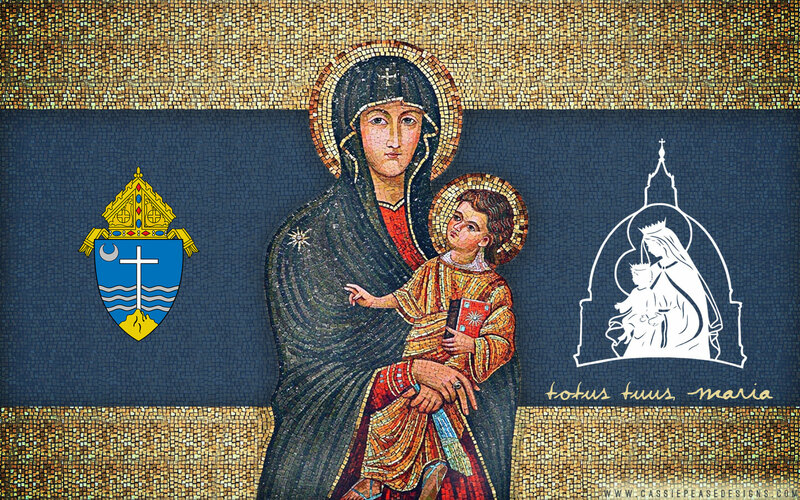 Mary’s total devotion to the will of the Father is the model of Totus Tuus. 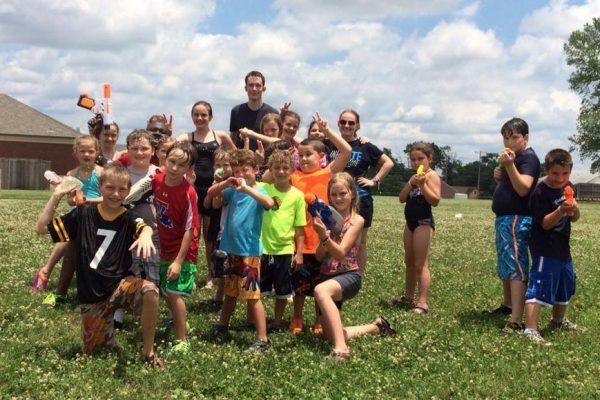 Totus Tuus reaches thousands of young people for Christ every summer. Hosted in more than 45 dioceses across North America, it inspires active stewards, fruitful vocations and a lifelong love for the Church. 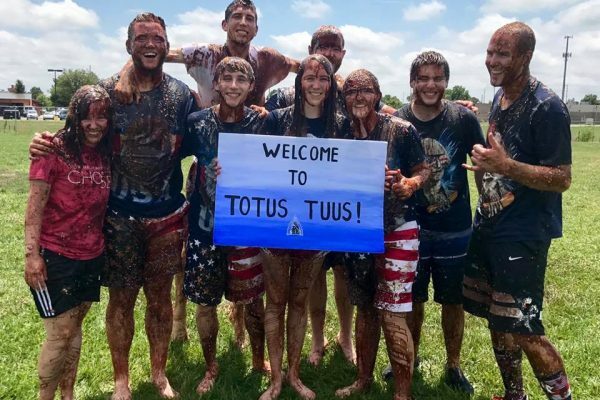 Totus Tuus is a Catholic summer youth program dedicated to sharing the Gospel and promoting the Catholic Faith through catechesis, evangelization, Christian witness and Eucharistic worship. The goal of Totus Tuus is to help young people grow in the understanding of, and strengthen their faith in Jesus Christ. It is only by establishing a real and personal relationship with Him that we can be led to love of the Father in the Spirit and so be made sharers in the life of the Holy Trinity. “I am the way, the truth and the life. No one can come to the Father except through me” (John 14:6). Totus Tuus strives to bring our faith to life by creating a balance between knowledge of the meaning of the Sacraments and an authentic Sacramental life. Totus Tuus, a Latin phrase meaning “totally yours,” was the motto of Blessed John Paul II. Taken from St. Louis de Montfort’s True Devotion to Mary, it signifies our desire to give ourselves entirely to Jesus Christ through Mary. It also expresses our effort to give our all to every young person we encounter. Through the teams’ example of joy and service, the youth see that these men and women are ON FIRE with the Catholic faith and long for the same thing in their lives. Totus Tuus calls upon college students and seminarians from the Catholic Diocese of Rockford and across the United States to carry this mission to every young person they encounter in the parish program or at camp. Students are hired for their energy, enthusiasm, love for the faith, commitment to spiritual growth, ability to work with a team and a desire to work with youth. Totus Tuus joins the Church in her proclamation of the Gospel to arouse faith in the youth of the Catholic Diocese of Rockford. Ready with “an explanation…for the reason for your hope” (1 Peter 3:15), Totus Tuus catechists expound upon the reasons for our beliefs and share their personal testimonies with the young people. 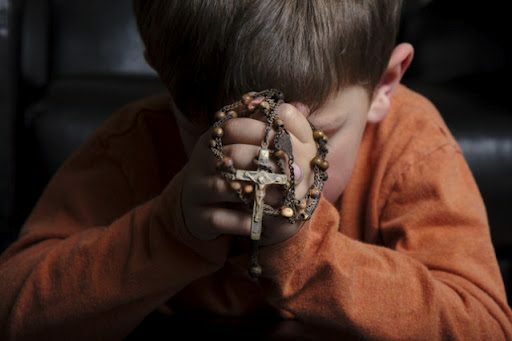 Pope Paul VI wrote, “Modern man listens more willingly to witnesses than to teachers, and if he does listen to teachers, it is because they are witnesses” (Evangelii Nuntiandi, 41). With this in mind, Totus Tuus team members are immersed in a life of prayer and give witness to the fruits of that experience of Christian living to the youth. Additionally, the daily schedule of the Totus Tuus catechist revolves around the Mass, the Sacraments and prayer. A summer given entirely to God and the young people of the Catholic Diocese of Rockford would not be possible otherwise. The focus of the Totus Tuus program is obviously on the youth of your parish; however, the entire parish can and should be involved. We have already mentioned the need for volunteers to help during the day program and host families to house and feed the team(s) during the week. The Complete Guide, Parish Application/Registration Form, Family/Child Registration Form, Day & Evening Program Schedules, Checklist and Frequently Asked Questions. Still have a question? Please don’t hesitate to contact us. Who are Totus Tuus Teachers? 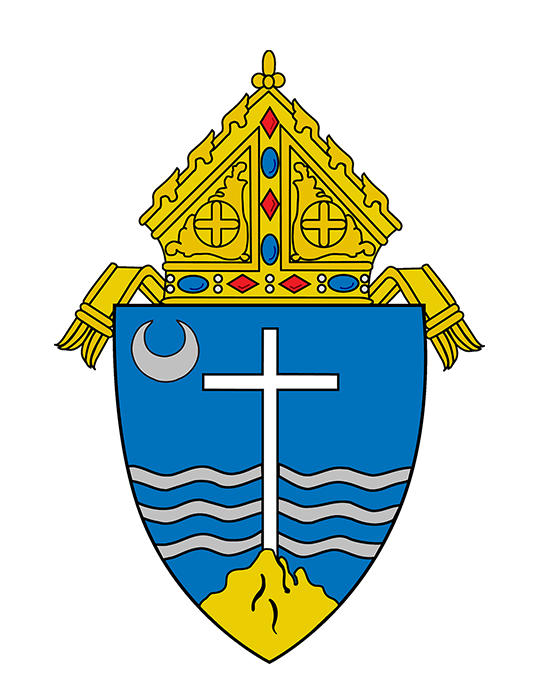 Totus Tuus calls upon college students and seminarians from the Rockford area and across the United States to carry out its mission. Those hired are trained and put into teams of four (two men and two women) to go out into a parish for a week and put on a “parish mission for youth” in order to teach, witness, and inspire. They conduct these missions for six weeks during the summer in which they are challenged both by each other and the youth. Much of the success of Totus Tuus is due to the college-age teachers whose zeal for Christ and His Church inspire young people to lives of radical holiness. Furthermore, teachers of Totus Tuus often discover their own vocation (marriage, religious, priesthood) as they too are inspired to lives of deeper devotion. As a Totus Tuus teacher, you commit to traveling in a four-person team and teaching in parishes for six weeks. Teachers also complete two weeks of training in the curriculum and program, and have a break during the week of the July 4th holiday.